Bathroom and Kitchen Installation for Barnes. 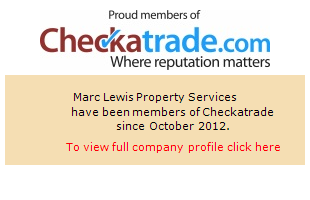 Marc Lewis Property Services is located in Hampton, Middlesex and provides a friendly and courteous building service to Barnes and the surrounding areas of West London and Surrey, Middlesex borders. With over 30 years experience in the building industry and 15 years experience installing kitchens and bathrooms, Marc Lewis Property Services specializes in installing all brands of bathrooms and kitchens. Work covered includes plumbing, electrics, floor and wall tiling and carpentry. At Marc Lewis Property Services we can tailor our services to meet your budget but always strive for attention to detail in all we do and endeavour to ensure our customers are always completely satisfied with our quality of work. Please feel free to browse this site and see samples of recent work that has been carried out. To see what previous customers say about the standard of our work, please visit the testimonials page. If you have any questions about the services offered or you would like a free estimate or advice, please contact Marc using the contact form, mobile on 07956 555053 or the Office on 020 8941 1519. Marc Lewis – Property Maintenance Services for Richmond, Teddington, Surrey, Middlesex, Berkshire and Buckinghamshire, Kingston, Elmbridge and West London.